Jürgen Klopp has confirmed Dejan Lovren is ‘close’ being back in contention for Liverpool after resuming full training at Melwood this week. The defender hasn’t figured for the Reds since returning from World Cup duty with runners-up Croatia due to a pelvis issue. 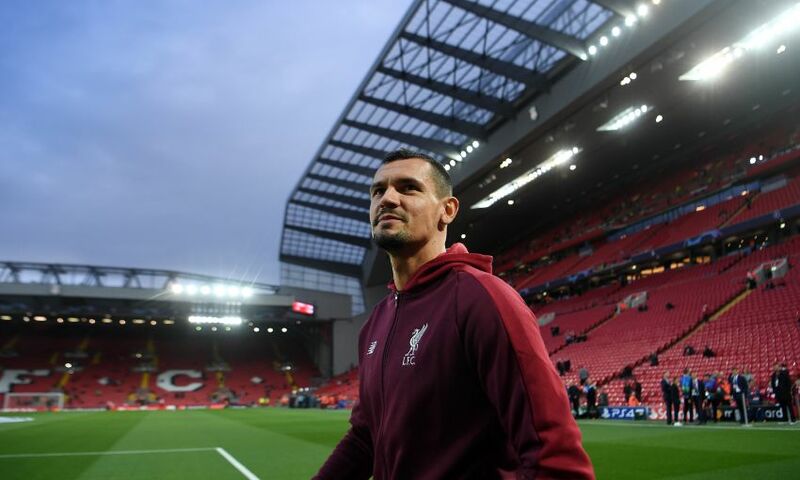 However, Lovren re-joined his teammates in Wednesday’s training session and isn’t too far away from being available for first-team selection once again. Klopp told his pre-match press conference at Melwood on Friday: “Dejan is close. He looks really fit; he did a lactate test last week and fitness-wise he is on a really OK level for his situation – rather good than average. Another man making good progress in his quest to return to full fitness is Adam Lallana. The playmaker has stepped up his recovery programme at Melwood after sustaining a groin strain while on international duty with England. Liverpool will train at Melwood on Friday afternoon as they finalise preparations for the weekend’s Premier League encounter with Southampton at Anfield. Dominic Solanke is fit to join in the session after picking up a knock while representing the Reds’ U23s last weekend, but Divock Origi is still recovering from knee complaint. Klopp confirmed: “Dom trains today for the first time after his concussion. Divock tried yesterday but still feels it when he is changing the direction and is still aware of it, so we don’t have to make pressure on that. Meanwhile, Klopp also responded to the news Alex Oxlade-Chamberlain had reached a milestone in his rehabilitation from a long-term injury this week by passing a ball for the first time since picking up multiple knee ligament damage against AS Roma in April. The midfielder revealed the details of his latest progress while speaking on LFCTV's LFC Later programme. “Ox is in a different situation, but it is so nice to have him around,” the boss said. “I can imagine because I had a long injury in my career, the first month you take it somehow and then you think it’s really boring and not exactly why you wanted to play football. He for sure he had moments like this, but he is such a positive [person]. “We are really, really waiting for him without making pressure on him. We know it will take a long time, but he will always be a very important part of the squad because of the guy he is. I have said it a few times, I knew he was a good footballer when we signed him but I could never have imagined what an outstanding person he is.